A double acting pump is one which has two suction valves, delivery valves and two suction and delivery pipes. 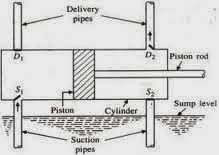 If we suppose that piston is in the center of the cylinder then one suction and delivery pipe is on one side and one delivery and suction pipe is on other side of the piston. 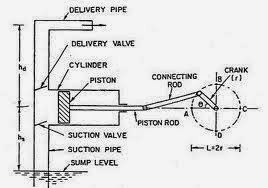 Single cylinder pump is one in which their is only cylinder connected to a single shaft. It could be a single acting or double acting pump.